This Book and DVD contains all 52 Run Out Drills and Patterns for winning 8, 9 and 10 ball competition play. From the first drill, you'll develop pinpoint position playing accuracy for table control for running out from anywhere. Most drills contain two skill ranges: Level I - beginner to intermediate, Level II - advanced to pro players. 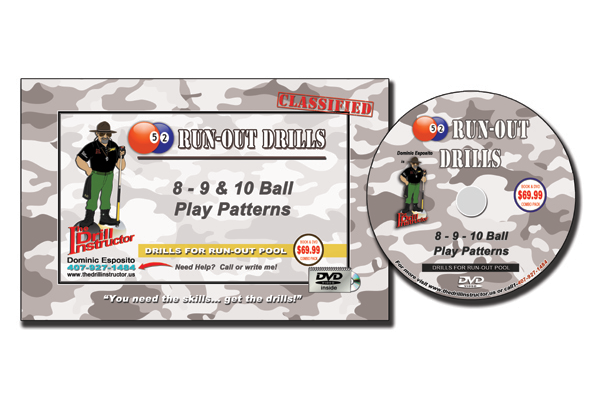 Watch each drill being shot on this DVD with nearly 2 hour of run time while listening to The Drill Instructor explain and visually guide you through each cue ball position and shot selection.